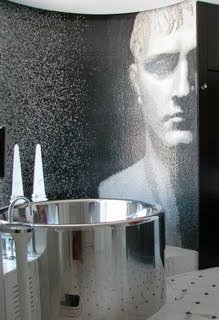 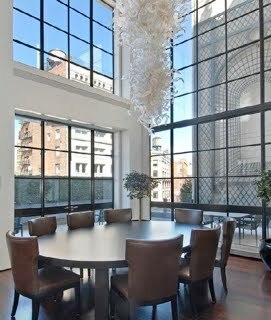 at its best- with style, sophistication and views. 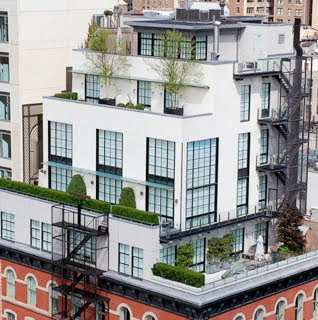 I love the upper West side buildings and Village brownstones but this rooftop manse in Tribeca seems to have it all. 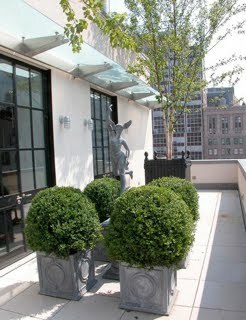 Boxwoods go modern or classic and sometimes merge the two gracefully. 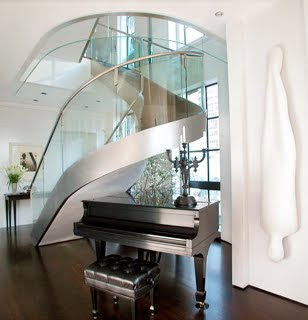 This classic grand piano softens the stainless steel stairwell, with the brown hardwoods under foot. 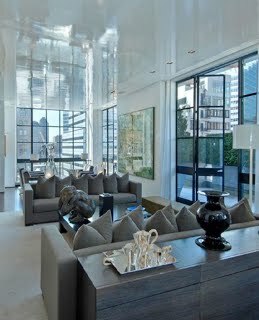 The high gloss paint on the ceiling in the monochromatic living room reflects the natural light, adding drama and depth to the simple furnishings. 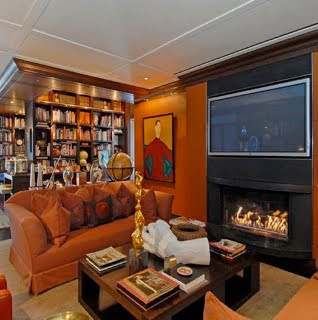 In the library above, I love how the ceiling acts as the room divider rather than interrupting the space with a large art wall or sculpture.